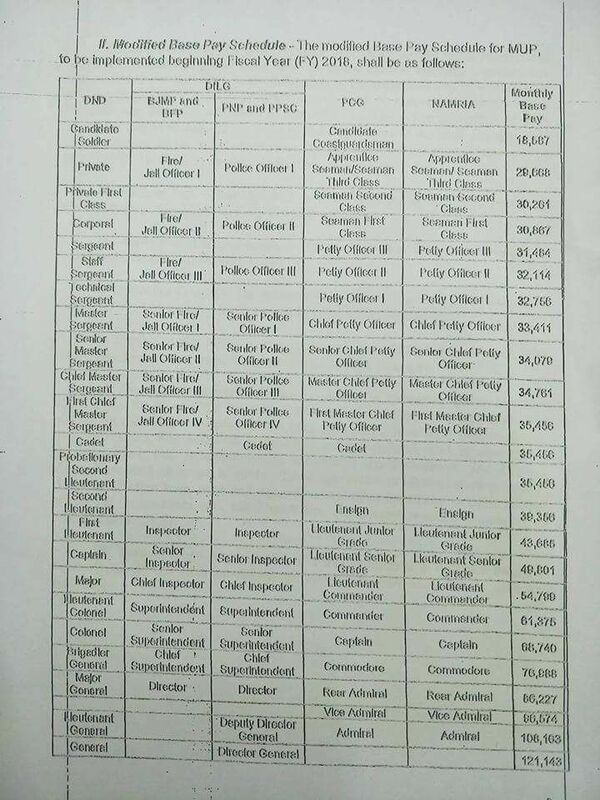 2018 Salary Table for AFP, PNP, BJMP, PPSC, PCG, & NAMRIA - Exam News, Reviewer, Military Career, & Everything [MN] . . The increase in the compensation of the military and uniformed personnel (MUP) will be funded from the Miscellaneous Personnel Benefits Fund (MPBF), and from any available allotment in the respective budgets of the agencies according to past DBM statement.